David Haye took to the ring on Wednesday for a public workout ahead of his rematch with Tony Bellew this weekend, but it wasn’t the footwork or the power of the former cruiserweight and heavyweight champion that had people talking – it was the impressive footwear of his trainer Ismael Salas. The veteran coach from Cuba, who is substantially shorter than his 6-foot-3 pupil Haye, was wearing what appeared to be bowling shoes decked out in the colours and style of the Cuban national flag. But that wasn’t what had everyone talking. It was the six-to-eight inch platforms the shoes sat atop of that had the cameras clicking around the ring as he took Haye through his paces on the pads. Cuban heels these were not. After the short workout Haye gave his prediction for the fight. 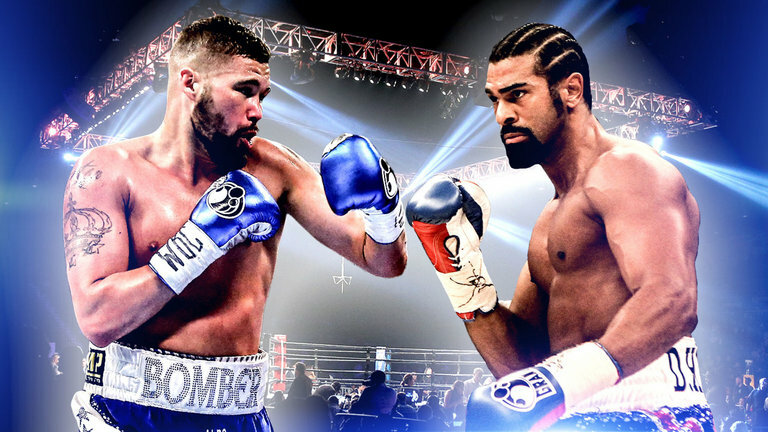 Bellew won the first fight by eleventh round stoppage after Haye ruptured his Achilles tendon in the mid-rounds and became an increasingly immobile target as the fight progressed. The 37-year-old Londoner insists his body won’t forsake him this time around. “You will see the old strong, quick, sharp and fully fit Hayemaker on Saturday night. Educated pressure, not wild swings. The very best of me,” he said. Bellew laughed off the talk of Haye returning to his best form. “This is his last 15 minutes of fame. I will end his career. I can’t wait to punch him in the face,” said the 35-year-old Liverpudlian. For Haye, the loss to Bellew has stuck in his craw. “It has been a long year having him rub it in that he beat me. That ends this weekend,” he said. Former WBO cruiserweight champion and now boxing analyst Johnny Nelson told Sky Sports that he thought Haye looked flat-footed as he hit the mitts. “I think he looks flat footed than he was before. Tony Bellew noticed that before any of us did,” he said. The fight from London’s O2 Arena will be broadcast live this Saturday night on SKY Box Office in the UK.